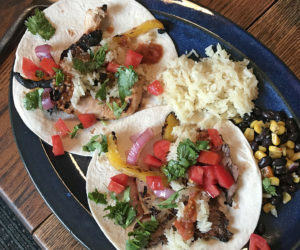 Ernesto's Mexican Restaurant is a Mexican, Lunch, and Cafe restaurant where most Menuism users came for a family meal, paid less than $10, and tipped more than 18%. "great salsa and chips, two levels of heat. chili queso blanco is amazing. table side guacamole outstanding. drinks are worth the money. attentive staff. tortillia soup is to die for. have eaten everything on menu and all items are delicious"
"The food is great , staff is friendly "
A dining patron from Killeen, TX tried it. A Mexican food lover from Prosper, TX tried it, liked it, and rated it . They liked the food, liked the service, and liked the ambiance. A Mexican food lover from Prosper, TX tried it. A Mexican chowhound from Aubrey, TX tried it and liked it. A Mexican chowhound from Dallas, TX tried it, liked it, and rated it . They liked the food, liked the service, and liked the ambiance. A Mexican chowhound from Dallas, TX tried it. A dining patron from TX tried it. A diner from Mckinney, TX tried it, liked it, and rated it . They liked the food, liked the service, and liked the ambiance. 2 reviews of Ernesto's Mexican Restaurant, first by minkgirl. My daughter was hungry for guacamole yesterday. She stopped at Ernesto’s and got some to go. She brought it home and we all had guacamole and chips with hot sauce for an appetizer. It is very good guacamole. The chips were very light and tasty and the sauce was find. We don’t go out for Mexican food too often, but Ernesto’s is the best in Prosper, at least in my opinion. My family went here some time ago. It is very convenient as it is located in the town where we live. I started out with a cup of chicken tortilla soup which was delicious. My husband most always gets the beef enchiladas which he likes very much. My daughter loves fish tacos, so that is what she ordered. The food here was all very good. The service was fine. We will be going back here. These dishes from the Ernesto's Mexican Restaurant menu are contributed by Menuism users directly, as part of a restaurant review, or as part of a photo upload. Do you own Ernesto's Mexican Restaurant? Contact us to connect with your diners. People found this by searching for: Ernestos Prosper, Tx, Ernesto's Prosper, Ernesto's Mexican Restaurant Reviews, Ernestos Menu In Prosper, Tx, Ernestos In Prosper, Tx, Ernesto's Prosper Texas, Ernesto's Prosper Menu, Ernestos Mexican Restaurant Frisco Menu, and Ernestos Prosper Menu.